When assessing the severity of Alzheimer‟s disease and the need for treatment, healthcare professionals should not rely solely on cognition scores in circumstances in which it would be inappropriate to do so (see NICE TA217 for examples). When using assessment scales to determine the severity of Alzheimer‟s disease, healthcare professionals should take into account any physical, sensory or learning disabilities, or communication difficulties that could affect the results and make adjustments they consider appropriate. Healthcare professionals should also be mindful of the need to secure equality of access to treatment for patients from different ethnic groups, in particular those from different cultural backgrounds. These should only be initiated by specialists in the care of dementia (psychiatrists, neurologists and physicians specialising in the care of older people). Treatment should be continued only when it is considered to be having a worthwhile effect on cognitive, global, functional or behavioural symptoms. Patients who continue on treatment should be reviewed regularly by an appropriate specialist team, or according to the locally agreed Shared Care Protocol. Carers views on the patient's condition should be sought at baseline and during follow-up. Memantine and AChE inhibitor combination treatment. 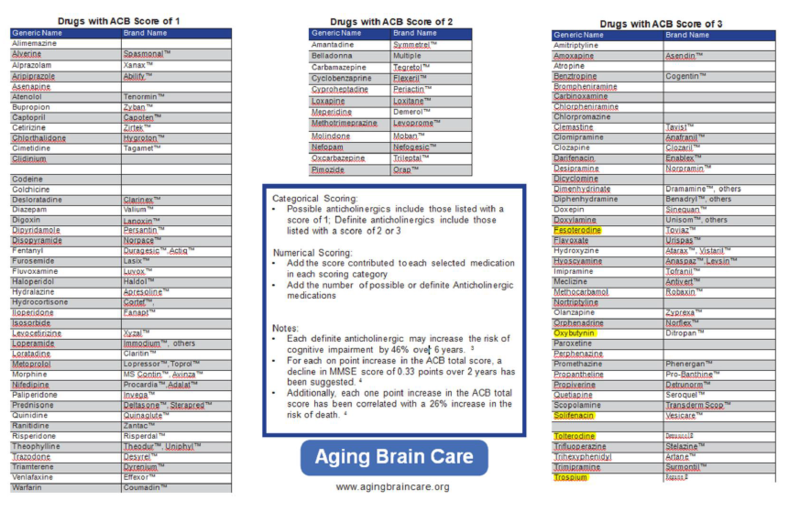 The acetylcholinesterase (AChE) inhibitors: Donepezil, Galantamine and Rivastigmine are recommended as options for mild to moderate Alzheimer‟s disease. Treatment should be started with the drug of lowest acquisition cost. However, an alternative agent could be prescribed if considered appropriate when taking into account adverse event profile, expectations about adherence, medical co-morbidity, possibility of drug interactions and dosing profiles. Oral formulations should be used except where patient has poor swallow or experiences side effects with oral treatment which would lead to discontinuing treatment. Avoid anticholinergic (antimuscarinic) drugs with acetylcholinesterase inhibitors which have the potential to reverse their effects.